"It has to rank as the Gem of the Year to date. Cormac McCarthy's superb arrangements for a mixed jazz ensemble defy categorization." 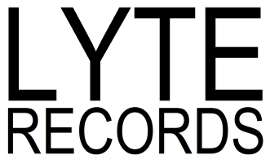 Lyte Records is excited to release this exciting, forward-thinking debut album by one of Ireland's brightest young performer/composer talents. Pianist, composer and arranger Cormac McCarthy is a Cork native who began studying piano aged four, and soon after discovered the joy of composition. He has gone on to perform and compose in a wide range of musical genres, from classical to jazz to Irish traditional music. In 2010 he received the prestigious 'Bill Whelan International Music Bursary' from music icon Bill Whelan, which allowed him to complete a Masters in Jazz Studies at DePaul University. Cormac's compositions and arrangements have been performed and recorded regularly throughout the American Midwest, including recordings with jazz masters Phil Woods and Jeff Hamilton. As a pianist, he has performed extensively at concert venues, clubs and festivals throughout Europe and the US. 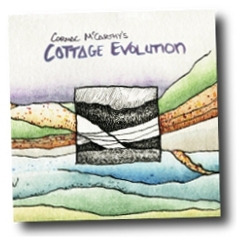 Cottage Evolution blends Irish traditional and jazz, featuring his 12-piece ensemble which brings together some of Ireland's most prominent young Irish creative and traditional musicians whilst showcasing his talents as an composer, arranger and improvising soloist.